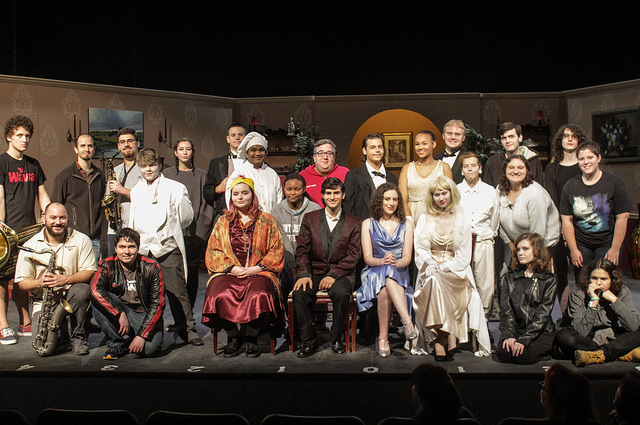 New Hope Academy proudly presented Noël Coward’s “Blithe Spirit” on October 27th and 28th, 2017 at the Music Mountain Theatre in Lambertville, NJ. The talented cast and crew performed the comedy, which tells the tale of novelist Charles Condomine, who, while hosting a seance at his home with his second wife Ruth, unwittingly summons the spirit of his dead wife, Elvira. Unfortunately for Charles, no one except him can see or hear Elvira, who is intent on sabotaging his current marriage. The performances were spectacular, the musical accompaniment was stellar, and the technical details were spot-on. The NHA Drama department would like to thank everyone involved in the production, as well as the dedicated family, friends, and faculty who attended the shows and cheered on the cast and crew. Check out the Youtube link below to watch the whole thing!